H19 — Project Mu Co., Ltd. 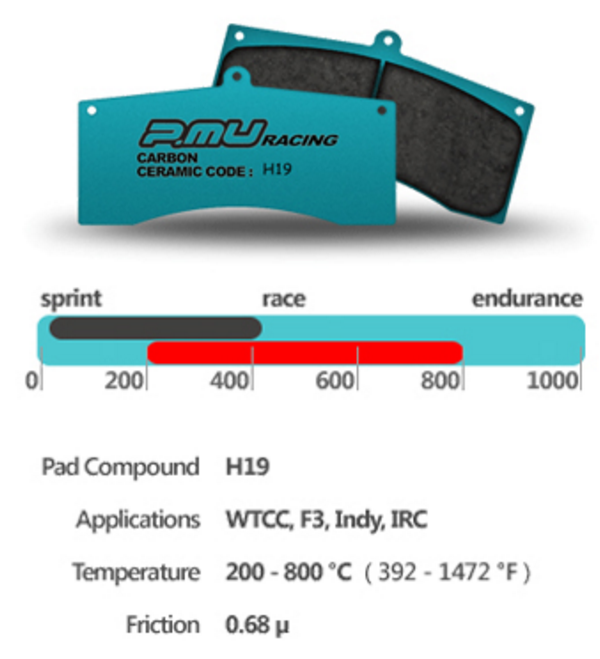 The H19 is designed as a front pad for those seeking maximum friction. H19 is a competition-only pad designed to offer the best performance in torque, feel, fade resistance and brake release. H19 offers a higher level of friction for a long period of time but will wear quicker than pads like the H16-03. The pad wont show symptoms of fading until after 800+°C. The extremely high initial bite that H19 provides will enable to driver to brake later when approaching the corner.